Fallout 4 has two more expansions coming and then that's it.Bethesda marketing executive Pete Hines has confirmed that August's Nuka-World expansion is the "last one," and fans should not expect any more. Here is what he said in an exchange with a fan recently.Coming before Nuka-World will be the Vault-Tec Workshop add-on, which arrives this month. 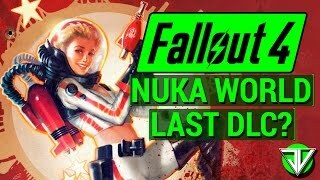 As for Nuka-World, it lands in August, priced at $20.Nuka-World, which is set in a post-apocalyptic amusement park, adds new quests, weapons, and more. 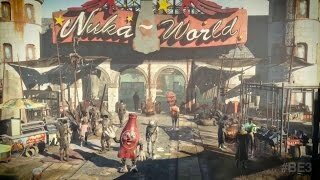 Here is the official description:"Take a trip to Nuka-World, a vast amusement park now a lawless city of Raiders. Explore an all-new region with an open wasteland and park zones like Safari Adventure, Dry Rock Gulch, Kiddie Kingdom, and the Galactic Zone. Nuka-World features new quests, Raiders, weapons, creatures, and more. Enjoy the ride! "Fallout 4's DLC so far has included Automatron (March 2016), Wasteland Workshop (April 2016), Far Harbor (May 2016), and Contraptions Workshop (June 2016). All of that, as well as Vault-Tec Workshop and Nuka-World, is included with the $50 Fallout 4 DLC Pass.This was originally offered for $30, at which time it only included the first three add-ons. However. Bethesda later expanded its DLC plans and raised the price to $50, though people who bought the pass for $30 were not asked to pay more.We would expect Bethesda Game Studios to continue to support Fallout 4 after August with gameplay updates for tuning and bug fixes. But as for what's next? Fallout 4 director Todd Howard has talked about some "big and crazy" projects, so maybe it's one of those.Recently, Hines, the Bethesda PR executive, said The Elder Scrolls 6 is not in the works right now.